Queen Mary, University of London in The Times. Does Simon Gaskell care? A lot of people from around the world ready my last post, Is Queen Mary University of London trying to commit scientific suicide?. Nonetheless, the mainstream media reach a different audience. They are still needed. Oddly enough, the Guardian Higher Education section didn’t seem very interested. For a paper that publishes Polly Toynbee and George Monbiot, the education section is surprisingly establishment-orientated. So is Times Higher Education, especially now the excellent Zoe Corbyn has left. The Times, however, welcomed it. On Monday 30 July, the following much shortened version of the blog appeared. And in the Thunderer column, no less (again). Two of the most irritating things about writing for papers are the lack of links, and the often silly titles chosen by sub-editors not the author. [download pdf]. There are moments when the way a university runs its affairs is so boneheaded that it deserves scorn far beyond the world of academia. Queen Mary University of London is selecting which staff to sack from its science departments in a way that I can describe only as insane. The firings, it seems, are nothing to do with hard financial times, but are a ham-fisted attempt to raise Queen Mary’s ranking in the league tables. A university’s position is directly related to its government research funding. So Queen Mary’s managers hope to do well in the 2014 “Research Excellence Framework” by firing staff who don’t publish a paper every ten minutes. To survive as a professor there you need to have published 11 papers during 2008 to 2011, of which at least two are “high quality”. For lecturers, the target for keeping your job is five papers, of which one is “high quality”. You must also have had at least one PhD student complete their thesis. What Queen Mary defines as “high quality” is publication in “high-impact journals” (periodicals that get lots of citations). Journals such as Nature and Science get most of their citations from very few articles, so it is utterly brainless to base decisions about the quality of research from such a skewed distribution of citations. But talk of skewed distribution is, no doubt, a bit too technical for innumerate HR people to understand. Which is precisely why they should have nothing to do with assessing scientists. I have been lucky to know well three Nobel prizewinners. 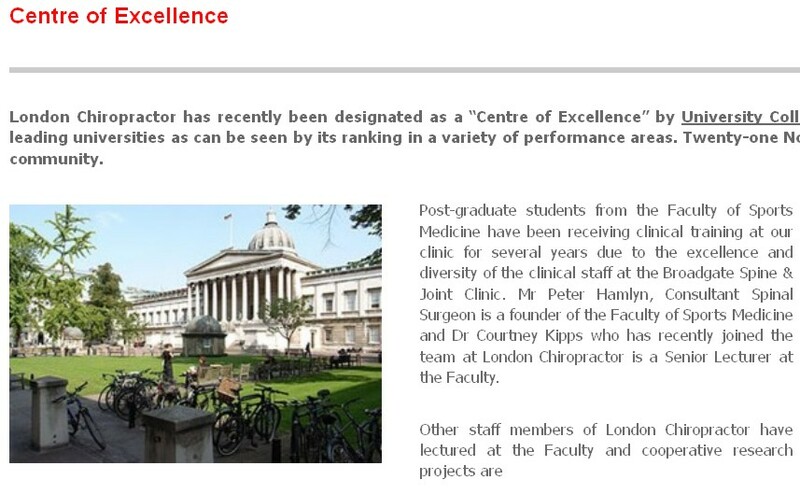 None would have passed the criteria laid down for a professor by QMUL. They would have been fired and so would Peter Higgs. More offensive still is that you can buy immunity if you have had 26 papers published in 2008-11, with six being “high quality”. The encouragement to publish reams is daft. If you are publishing a paper every few weeks, you certainly are not writing them, and possibly not even reading them. Most likely you are appending your name to somebody else’s work with little or no checking of the data, let alone contributing real research. It is also deeply unethical for Queen Mary to require all staff to have a PhD student with the aim of raising the university’s ranking rather than of benefitting the student. Like so much managerialism, the rules are an active encouragement to dishonesty. The dimwitted assessment methods of Queen Mary will guarantee the creation of a generation of second-rate spiv scientists. Who in their right mind would want to work there, now that the way it treats its scientists is public knowledge? August 3 2012 A response from Simon Gaskell appeared in the letter column of The Times. Sir, Professor Colquhoun is entitled to question the value of publishing in academic journals and the role this plays in academia (Thunderer, July 30). However, some will wish to understand more of the background of the criticism he levelled at Queen Mary, University of London. QM is ranked in the top dozen or so research universities in the UK, as judged by the last Research Assessment Exercise. To continue making this contribution and to ensure that our students receive the finest research-led education, we’ve had to address a small number of academic areas where performance doesn’t match expectations. And in a challenging environment for higher education, we need to safeguard QM’s financial stability. We have applied objective criteria to the assessment of individual academic performance. These criteria are based on generally recognised academic expectations that take account of differences between disciplines and have been applied in a manner that acknowledges the imprecision of any such measures. Publication of research findings was only one criterion. We are now investing in those areas that have been restructured with a focus on establishing strengths in the medium to long term that will continue to benefit not only our students but broader society and will make best use of our resources, both public and private. I fear that Gaskell has just dug himself deeper in the pit of his own making. Here is the letter I have submitted for publication. I left a similar online comment, which has already appeared. Professor Gaskell (Letters, August 3) tries to defend his actions at Queen Mary, University of London by saying "We have applied objective criteria to the assessment of individual academic performance. These criteria are based on generally recognised academic expectations". Nothing could be further from the truth. It is most certainly not "generally recognised" that you can measure the worth of a scientist by simply counting the number of papers they produce, or by looking at the impact factor of the journal in which they appear. I’m afraid Professor Gaskell appears to be totally out of touch with the literature about such matters. The Research Excellence Framework says explicitly "No sub-panel will make any use of journal impact factors, rankings, lists or the perceived standing of publishers in assessing the quality of research outputs". Furthermore the REF allows submission of only four papers, and tries to assess their quality. Production of a large number of salami-sliced papers would hinder, not help. His actions appear to harm rather than help his university’s chances in the REF. Gaskell’s says also that he wants to "ensure that our students receive the finest research-led education". But we all know that someone who produces the large number of publications that he demands is unlikely to have either the time or the inclination to teach students too. Then, of course, there is the dubious legality of declaring a person "redundant" while advertising an essentially identical job. The word for his process is firing, not redundancy. I see no reason to change my view (Thunderer July 30) that Professor Gaskell is bringing his university into disrepute. August 3 2012 A correspondent write to me to point out an article that described the management methods that led to a lost decade by Microsoft. They are remarkably similar to those being imposed at Queen Mary. It’s unfortunate that university managers so often seem to latch on to ideas that have already been discredited in industry. August 6 2012. The Times hasn’t published my response, but they did publish today a letter from Professor Gavin Vinson, of Queen Mary. I was too kind to mention the obvious absurdity of Gaskell’s first sentence. Now it has been done..
Sir, Professor Simon Gaskell (letter, Aug 3) says, “Professor Colquhoun is entitled to question the value of publishing in academic journals and the role this plays in academia” (Thunderer, July 30). Try as I might, I have failed to find the basis for this statement in Professor Colquhoun’s article, or indeed anywhere else come to that. No one disputes the value of publishing in science and academia. What is in dispute is the use of spurious metrics in evaluating scientists. Lindy contributes acute comments regularly here. She is also an accomplished musician. She has kindly allowed me to post here four of her re-written carols. The Middle English dialect is not easy to follow. In fact Wikipedia reveals that it is oit even standard Middle English, but Macaronic English. The original words are reproduced in the right hand column. The original, sung by choir of King’s College Chapel, is on YouTube. For god it was mistook. And so life was begun. Did from the bugs evolve. This version is for Simon Singh. If you haven’t yet signed the new peition, please do it here. Story is of Simon Singh. “Sod it! We have been defiled! Took young Simon off to court. Gave his ruling oh so speedy. With support the web does ring. Surely he his case must win. Dedicated to the Prince of Wales, certain vice-chancellors and other champions of the endarkenment. (Such stunning stuff we hear)! -Ing, beats bringing in Chi square. And dilute to kingdom come. For deriding all the data etc. And it will do no harm. Have giv’n D.C. the crown. Were here to treat us all? And let real science prevail! They all amount to woo. *The names Rolf and Roger seem remarkably similar in some circumstances so I get a little confused. Here is Lindy’s version of "god rest ye merry gentleman", composed in the wake of the admission by the Professional Standards director of Boots the Chemists that they sell homeopathic pills despite being aware of the fact that there is no reason to think they work. Please kindly step this way. We’ll stop your profiteering ploy”! We’ll continue our profiteering ploy”. We’ll put you all to shame! We are stopping your profiteering ploy”. Or ‘dolphin song’ or ‘canine testes’ – even ‘ATP’! So you’ll stop all this profiteering ploy”. These lies with one great voice. The King’s Fund recently published Assessing complementary practice Building consensus on appropriate research methods [or download pdf]. It is described as being the “Report of an independent advisory group”. I guess everyone knows by now that an “expert report” can be produced to back any view whatsoever simply by choosing the right “experts”, so the first things one does is to see who wrote it. Here they are. We see at once two of the best known apologists for alternative medicine, George Lewith (who has appeared here more than once) and Stephen Holgate. from false health claims (and which may, soon, find itself in the same sort of trouble as the GCC). Richard Lilford is the only member of the group who has no bias towards alternative medicine and also the only member with expertise in clinical research methods His credentials look impressive, and his publications show how he is the ideal person for this job. I rather liked also his article Stop meddling and let us get on.. He has written about the harm done by postmodernism and relativism, the fellow-travellers of alternative medicine. Most damning of all, Lewith, Eddlestone and Holgate (along with Cyril Chantler, chair of the King’s Fund, and homeopaths, spiritual healers and Karol Sikora) are Foundation Fellows of the Prince of Wales Foundation for Magic Medicine, an organisation that is at the forefront of spreading medical misinformation. I shall refer here to ‘alternative medicine’ rather than ‘complementary medicine’ which is used in the report. It is not right to refer to a treatment as ‘complementary’ until such time as it has been shown to work. The term ‘complementary’ is a euphemism that, like ‘integrative’, is standard among alternative medicine advocates whose greatest wish is to gain respectability. On page 10 we find a summary of the conclusions. the primary importance of controlled trials to assess clinical and cost effectiveness. the potential for whole-system evaluation to guide decision-making and subsequent research. that spending money on research will establish “a sound evidence base". There is a precedent, but it is ignored. A huge omission from the report is that it fails to mention anywhere that a lot of research has already been done. of more than 10 years. It has failed to come up with any effective treatments whatsoever. See, for example Why the National Center for Complementary and Alternative Medicine (NCCAM) Should Be Defunded; Should there be more alternative research? ; Integrative baloney @ Yale, and most recently, $2.5B Spent, No Alternative Med Cures found. .
Why did the committee think this irrelevant? I can’t imagine. You guess. As happens so often, there is implicit in this sentence the assumption that if you spend enough money evidence will emerge. That is precisely contrary to the experence in the USA where spending a billion dollars produced nothing beyond showing that a lot of things we already thought didn’t work were indeed ineffective. And inevitably, and tragically, NICE’s biggest mistake is invoked. Did the advisory group not read the evidence used (and misinterpeted) by NICE? It seems not. Did the advisory group not read the outcome of NIH-funded studies on acupuncture as summarised by Barker Bausell in his book, Snake Oil Science? Apparently not. It’s hard to know because the report has no references. in the USA gets no useful result, is Lewith really likely to do better? Yes, but ALL medicine involves the context of the treatment. This is no different whether the medicine is alternative or real. The context (or placebo) effect comes as an extra bonus with any sort of treatment. “. . . we recommend that three important questions should be addressed in the following order”. (1) does the treatment offer therapeutic benefits greater than placebo? (2) is the treatment safe? (3) how does it compare, in medical outcome and cost-effectiveness, with other forms of treatment?. The crunch comes when the report gets to what we should pay for. “Should we be prepared to pay for the so-called placebo effect? How much is one allowed to lie to patients in order to elicit a placebo effect? Is is OK if the practitioner believes it is a placebo but gives it anyway? Is it OK if the pratitioner believes that it is not a placebo when actually it is? Is it OK for practitioners to go degrees taught by people who believe that it is not a placebo when actually it is? In the case of acupuncture, great ingenuity has gone into divising controls. The sham and the ‘real’ acupuncture always come out the same. In a non-blind comparison between acupuncture and no acupuncture the latter usually does a bit worse, but the effects are small and transient and entirely compatible with the view that it is a theatrical placebo. Despite these shortcomings, some of the conclusions [p. 22] are reasonable. “The public needs more robust evidence to make informed decisions about the use of complementary practice. What the report fails to do is to follow this with the obvious conclusion that such evidence is largely missing and that until such time as it is forthcoming there should be no question of the NHS paying for alternative treatments. Neither should there be any question of giving them official government recognition in the form of ‘statutory regulation’. The folly of doing that is illustrated graphically by the case of chiropractic which is now in deep crisis after inspection of its claims in the wake of the Simon Singh defamation case. Osteopathy will, I expect, suffer the same fate soon. We recognise that it is the assessment of effectiveness that is of primary importance in reaching a judgement of different practices. Producing robust evidence that something works in practice – that it is effective – should not be held up by the inevitably partial findings and challenged interpretations arising from inquiries into how the intervention works. The headline sounds impeccable, but directly below it we see a clear statement that we should use treatments before we know whether they work. “Effectiveness”, in the jargon of the alternative medicine business, simply means that uncontrolled trials are good enough. The bit about “how it works” is another very common red herring raised by alternative medicine people. Anyone who knows anything about pharmacology that knowledge about how any drug works is incomplete and often turns out to be wrong. That doesn’t matter a damn if it performs well in good double-blind randomised controlled trials. I take that to mean that alternative medicine poses problems that are no different from other sorts of treatment. They should be subjected to exactly the same criteria. If they fail (as is usually the case) they should be rejected. That is exactly right. The report was intended to produce consensus, but throughout the report, there is a scarcely hidden tension between believers on one side, and Richard Lilford’s impeccable logic on the other. Who are the King’s Fund? The King’s Fund is an organisation that states its aims thus. If the advice is followed, and the results are largely negative, as has already happened in the USA, the Department of Health would look pretty silly if it had insisted on degrees and on statutory regulation. The King’s Fund chairman is Sir Cyril Chantler and its Chief Executive is Niall Dickson. It produces reports, some of which are better than this one. I know it’s hard to take seriously an organisation that wants to “share its vision” withyou, but they are trying. It seems to me that the King’s Fund is far too much too influenced by the present Prince of Wales. He is, no doubt, well-meaning but he has become a major source of medical misinformation and his influence in the Department of Health is deeply unconstitutional. I was really surprised to see thet Cyril Chantler spoke at the 2009 conference of the Prince of Wales Foundation for Integrated Health, despite having a preview of the sort of make-believe being propagated by other speakers. His talk there struck me as evading all the essential points. Warm, woolly but in the end, a danger to patients. Not only did he uncritically fall for the spin on the word “integrated”, but he also fell for the idea that “statutory regulation” will safeguard patients. Revelation of what is actually taught on degrees in these subjects shows very clearly that they endanger the public. But the official mind doesn’t seem ever to look that far. It is happy ticking boxes and writing vacuous managerialese. It lacks curiosity. The British Medical Journal published today an editorial which also recommends rebranding of ‘pragmatic’ trials. No surprise there, because the editorial is written by Hugh MacPherson, senior research fellow, David Peters, professor of integrated healthcare and Catherine Zollman, general practitioner. I find it a liitle odd that the BMJ says “Competing Interests: none. David Peters interest is obvious from his job description. It is less obvious that Hugh MacPherson is an acupuncture enthusiast who publishes mostly in alternative medicine journals. He has written a book with the extraordinary title “Acupuncture Research, Strategies for Establishing an Evidence Base”. The title seems to assume that the evidence base will materialise eventually despite a great deal of work that suggests it won’t. Catherine Zollman is a GP who is into homeopathy as well as acupuncture. All three authors were speakers at the Prince of Wales conference, described at Prince of Wales Foundation for magic medicine: spin on the meaning of ‘integrated’. The comments that follow the editorial start with an excellent contribution from James Matthew May. His distinction between ‘caring’ and ‘curing’ clarifies beautifully the muddled thinking of the editorial. The Medicines and Health Regulatory Authority breaks the law? This is another short interruption in the epic self-destruction of chiropractors. In a sense it is more serious. One expects quacks to advocate quackery. What you don’t expect is that the National Institute of Clinical Excellence (NICE) will endorse it. Neither do you expect the Medicines and Healthcare products Regulatory Agency (MHRA) to betray its mandate to make sure that medicines work. The saga of the NICE low back pain guidance has been the subject of a deluge of criticism, It seems doubtful that the guidance can survive, not least because of its absurd endorsement of chiropractic, at a time when chiropractic is undergoing self-immolation as a consequence of the persecution of Simon Singh by the British Chiropractic Association (see here, and here, and here, and here and thousands of other sites). in 2006, when the principle was approved by the MHRA, just about every scientific organisation, even the Royal Society, condemned the action. What was discouraging that the clinical organisations all stayed silent. It is still a mystery why the MHRA made this enormous mistake, Some said that European regulations required it, but that is quite untrue, as Les Rose has shown. It appears to have been the result of a pusillanimous MHRA bowing to pressure from a deeply unscientific Department of Health (a letter from Caroline Flint at the time borders on the surreal). for the print edition. That isn’t freely available, so here it is. This label should be illegal anyway because the pills contain no trace of the ingredient on the label, but this deceit has been allowed through a legal loophole for a long time now. If you sold strawberry jam that contained not a trace of strawberry you’d be in trouble. Since there is not the slightest evidence that Arnica 30C pills provide symptomatic relief of sprains, etc, the labelling that the MHRA has approved seems to be illegal. The MHRA is not selling anything itself, so I presume that it won’t find itself in court, but anyone who follows its advice could well do so. It is, I suppose, just a sign of the chaos that reigns in the multiple agencies and quangos responsible for ‘regulation’ that one arm of government proposes action that a different branch would consider illegal. That is an inevitable consequence of trying to regulate something without first deciding whether it is nonsense or not. The Department of Health appears to be quite incapable of grasping this simple and obvious fact. Health: best treatments. The Guardian seems to the be picking up BMJ stories and ran this one.